If you love the Arts and all that it entails then tune in to ‘Curtain Up’ here on http://nearfm.ie/livestream/ from Sat 22nd August and every Saturday morning from 11.30am to 12.30pm. 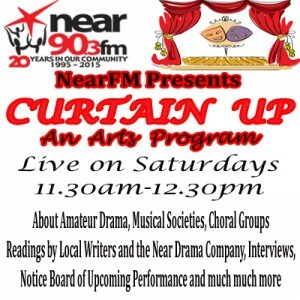 ‘Curtain Up’ is an Arts Program which will include all about Amateur Drama and Music. There will be Readings by local Writers, Drama from the Near Drama Company, Music from local Musical Societies & Choral Groups, a Notice Board announcing upcoming performances in the local areas, Interviews and much much more. 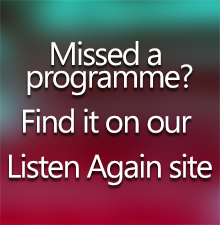 So tune in every Saturday morning from the 22nd of August and be inspired.